Title of Article: Hybrid Z "Never Ending Authenticity"
There is no 'back in the days..' when it comes to a team's reputation. What's current is current and most of us in the scene today will know about Team Hybrid. 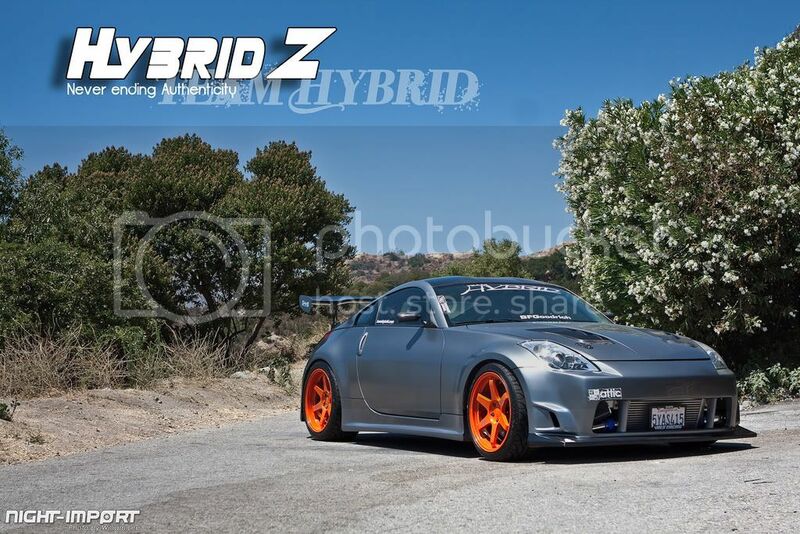 First off, if you are not familiar with this team, Team Hybrid is very well known in the automotive industry, not only in Southern California, but almost everyone in the US will know or heard about this team at least once. Established in 1995 by James Lin, the team has been representing at major car shows, sweeping almost every award category. 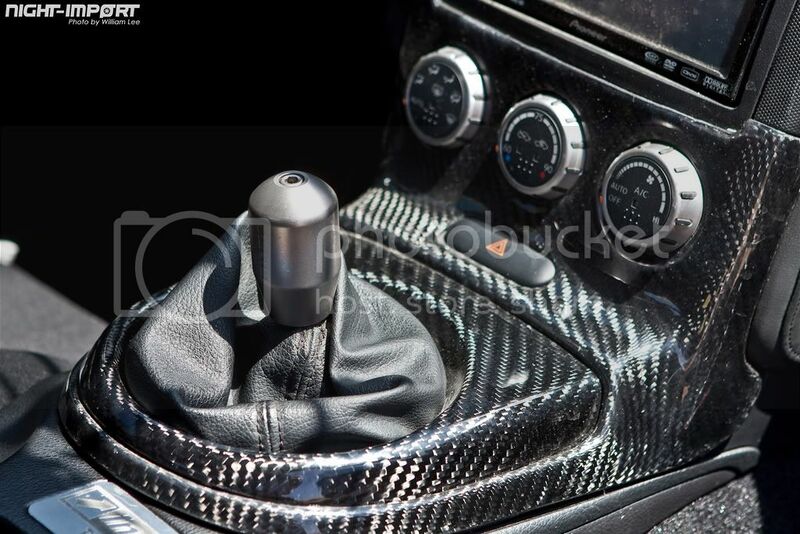 But today, instead of explaining the history of this infamous team, I want to take this time to feature one of the member's ride, a ride that's more than just authentic parts, but with an overall outstanding execution. 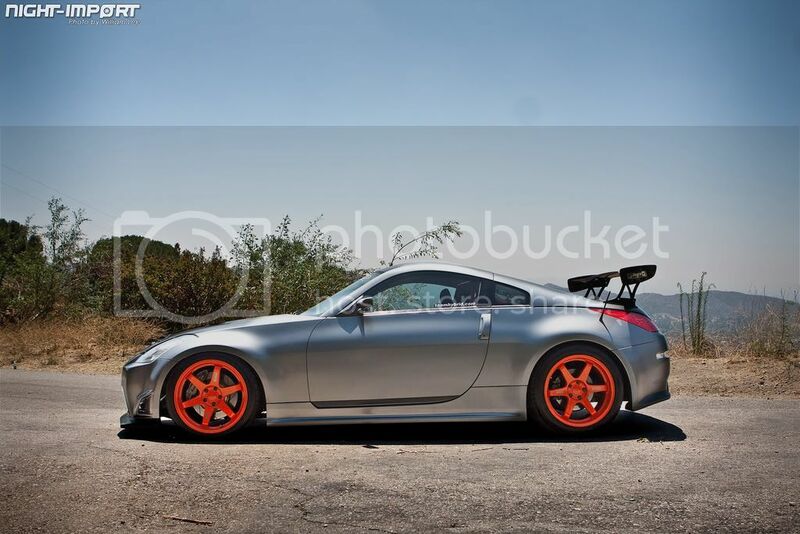 I first met Daniel Spielman, owner of this beautiful 350Z, at Fontana Nissan Meet in Fontana,CA. There were plenty of rides that dropped jaws from every angle.. To be honest, it was only the bright wheels that, but after talking to Daniel about his car, there was much more to it. 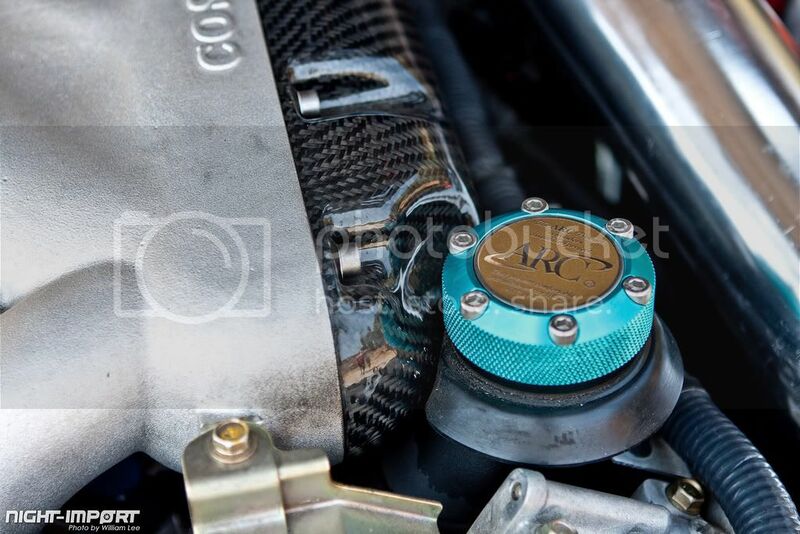 Only a few aftermarket companies design a favorable body kit for a specific make and model and from the few, our supporters Ings+1 have not disappointed us throughout the years. 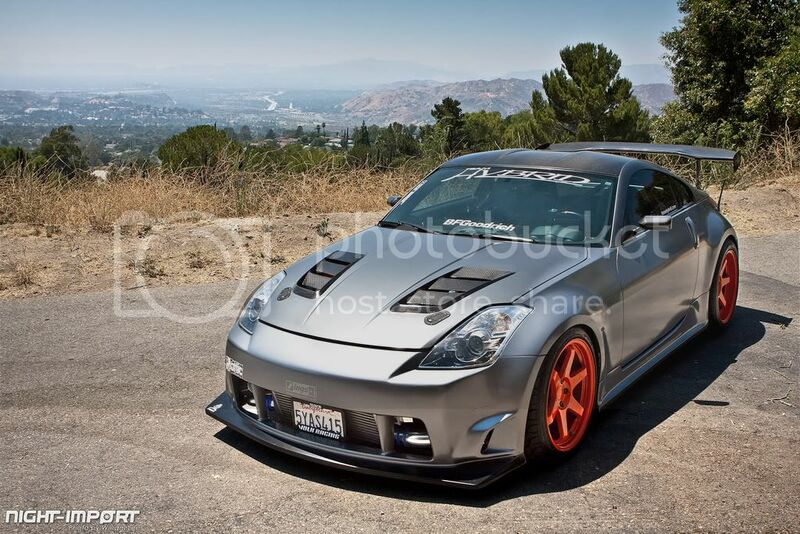 On this Z is an authentic Ings+1 N-Spec body kit with a Ings+1 Carbon Fiber High Mount GT wing. 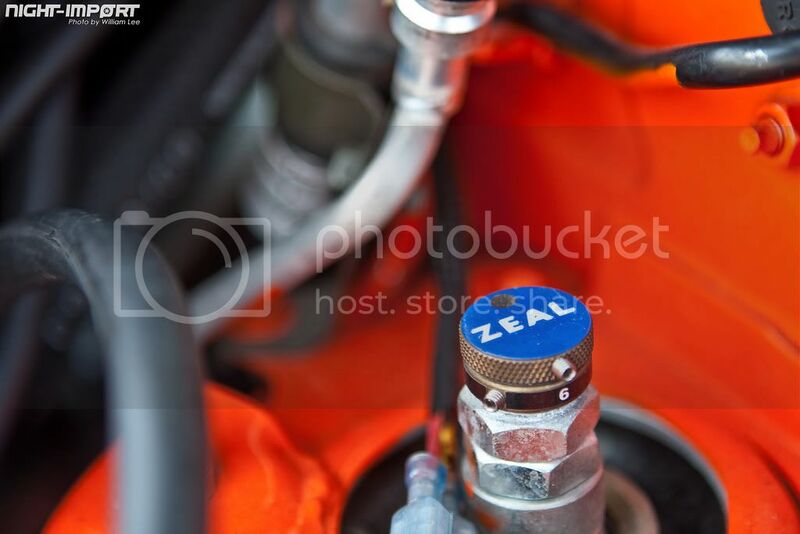 Is it different from many of the Zs we've seen before? Personally, Yes, but one might ask if it flows well overall? Once again, my answer will be, Yes. 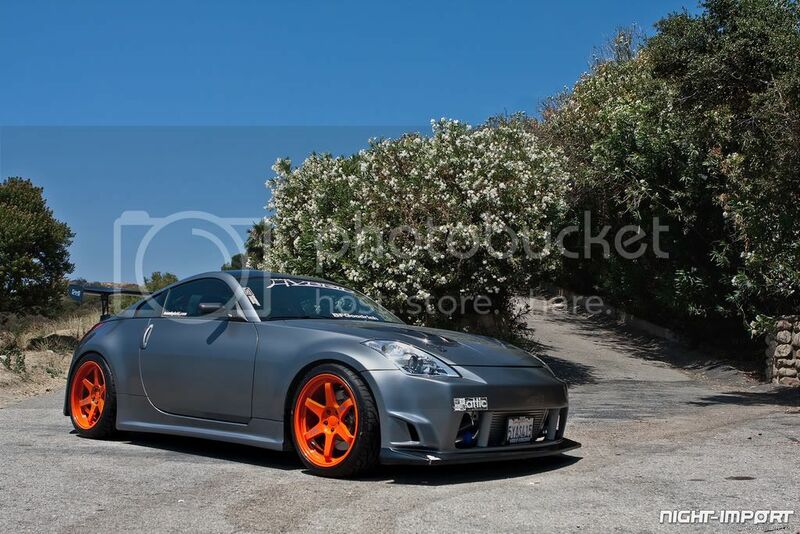 The photos might not show it too well, but the paint is not a stock Nissan color. What you can somewhat see is a BMW Frozen Grey Paint Job, a semi-matte finish, which doesn't make the car shine like other cars, but out-stands with its uniqueness. 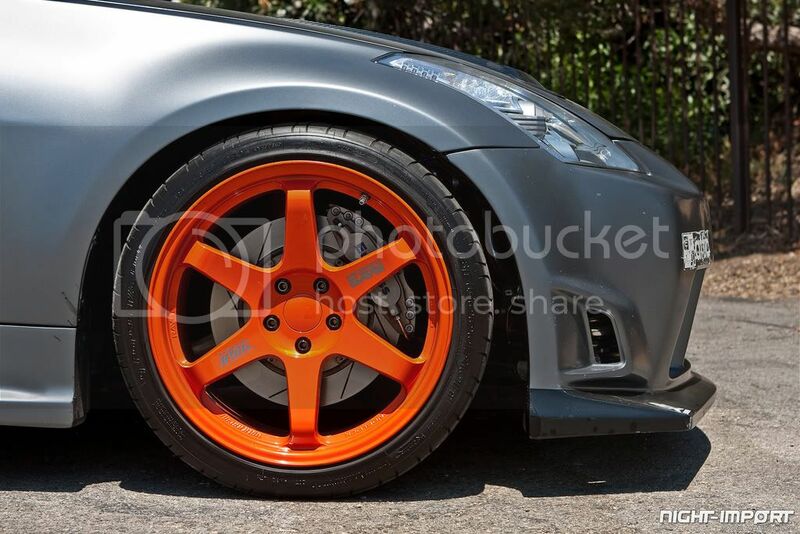 What really caught my attention when I first saw Daniel's Z were these custom finished Volk TE37s and in between the 6 spokes, a BBK that no other Zs have in SoCal, Endless 6-pot BBK w/ Raw Aluminite Finish and the companies name in original font. 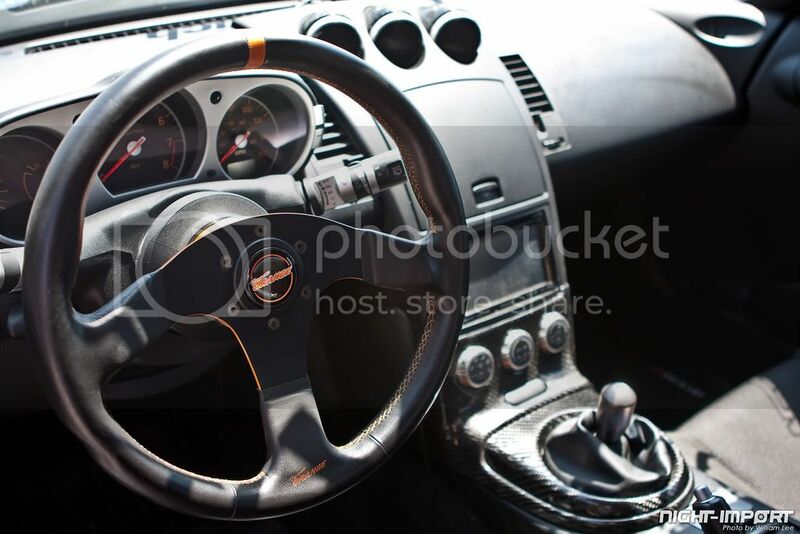 When looking at the stance of the car, we automatically know this car was built to function. 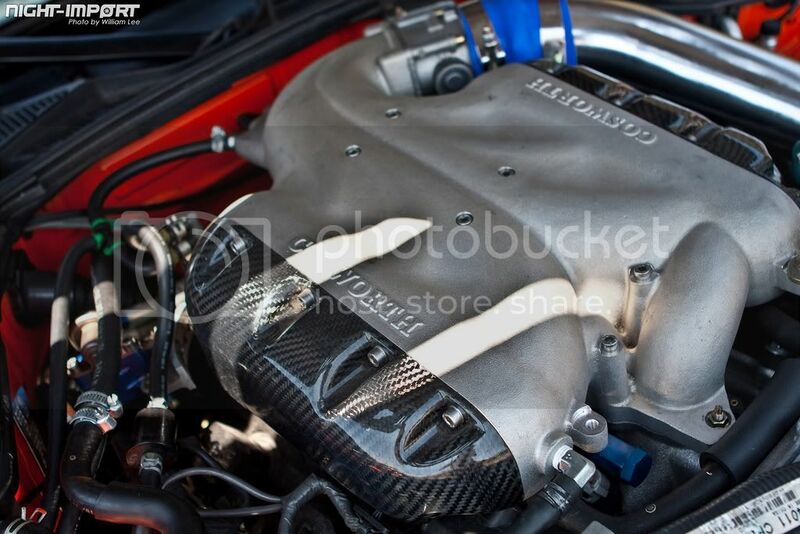 Once the hood was opened for an engine bay shot, I was not disappointed to see a GTM Twin Turbo Kit w/ Garett GT28RS Turbos, tuned and monitored with Haltech products. Daniel focused on one part more than the other mods; Suspension. 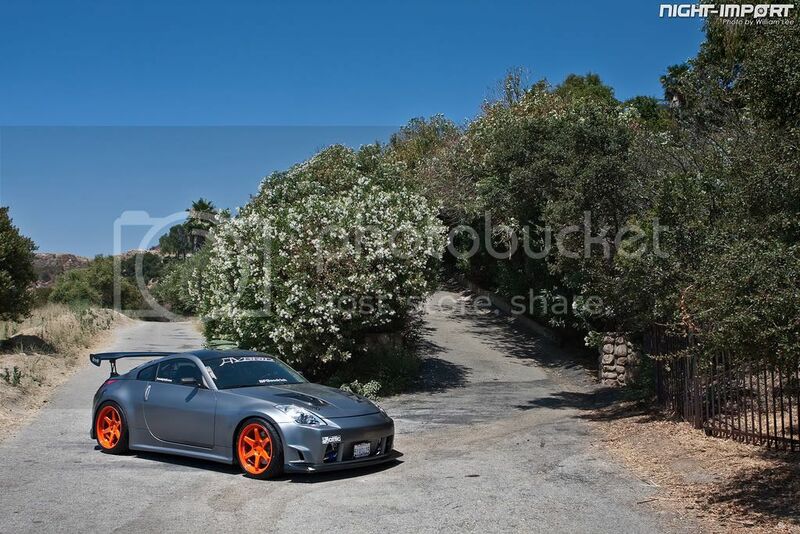 Sitting on Zeal FunctionXS Coilovers custom valved for 12k/10k, there were much more suspension products installed in order to feel the maximum handling capability of a track built car. 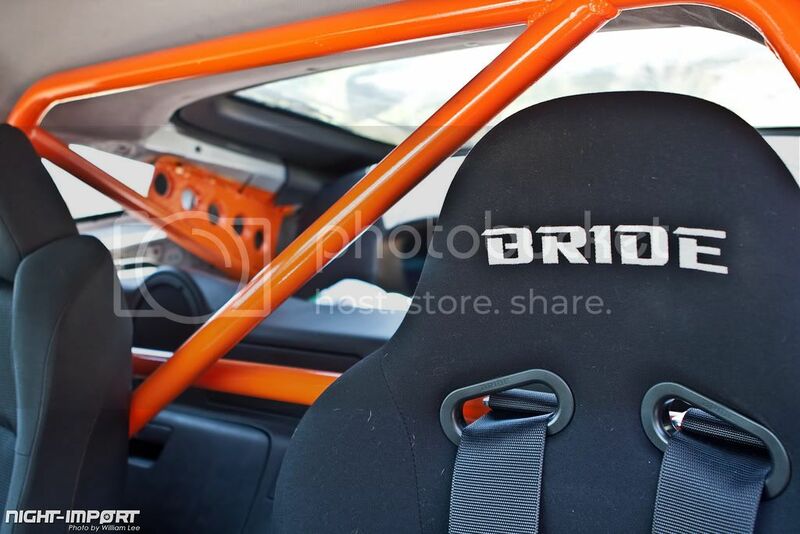 The modification goes on with the interior being fully modded with a custom built-in roll cage, Bride seat, and Team Orange edition Works Bell QR and Steering wheel. 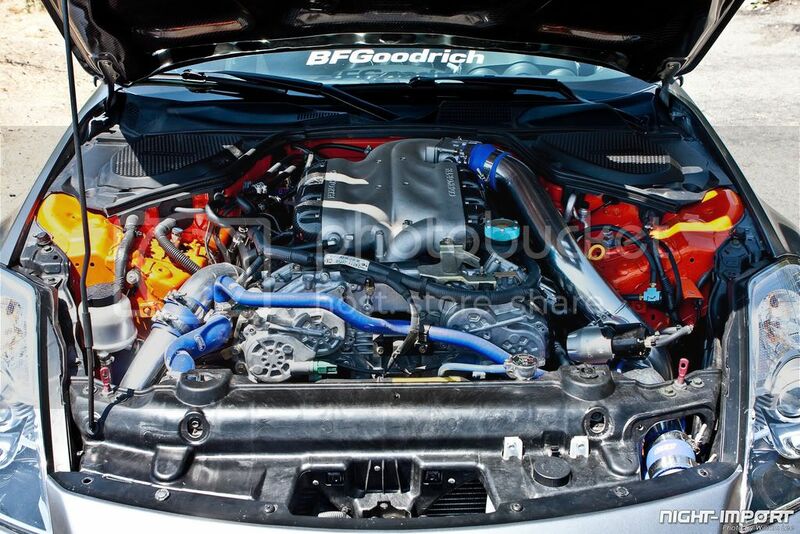 Everything from inside to outside was modified with quality parts to not only make the car look competitive, but also a show winner. This is only the beginning for Daniel. 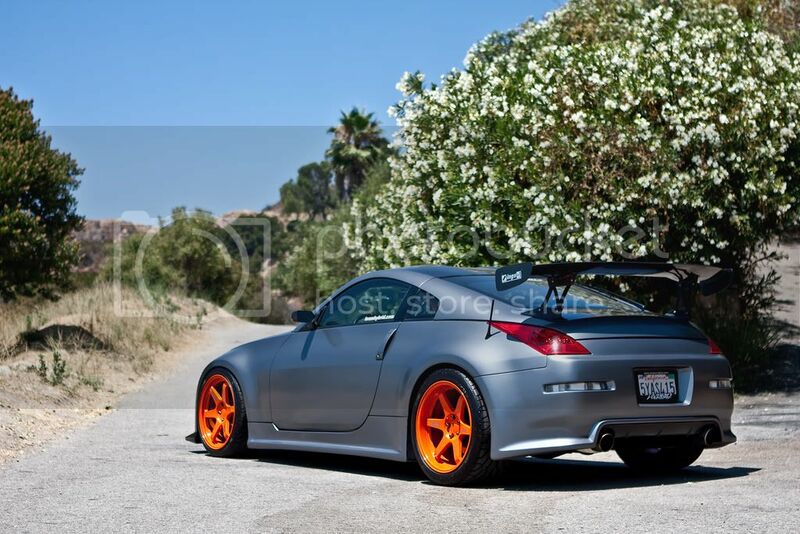 He has been in the automotive scene with his Z for quite a long time, but very soon, it will go through a major makeover. 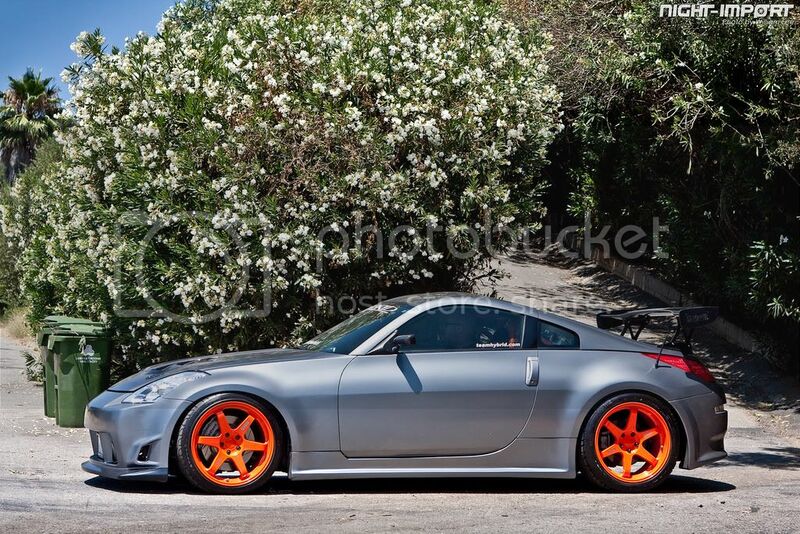 Let's just say it will definitely be an eye-catching Z than it is at its current stage. 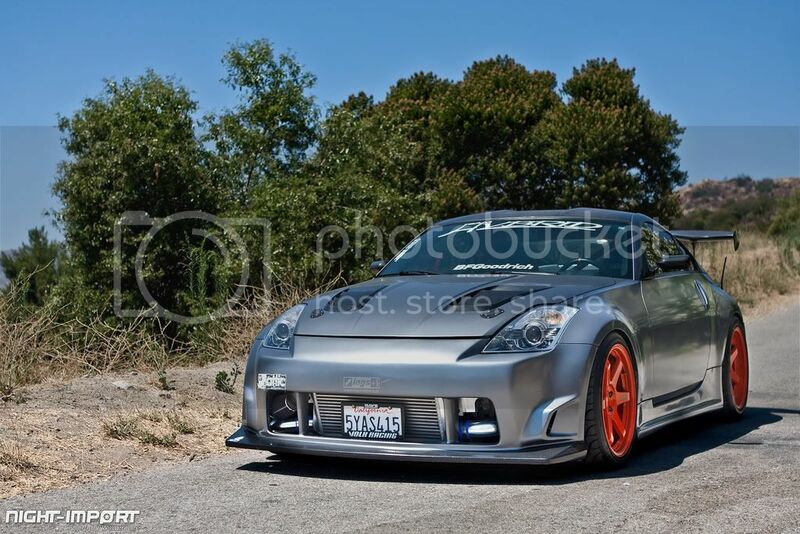 Shout out to the Team Hybrid family, Ivan & Serf, BFGoodrich, Z1 Performance, THMotorsports, EVO-R, Corner3 Garage, and JER. *Some parts listed in the Mod list were not added for this photoshoot.